If you’re the Rolls Royce of your industry, sending poor quality personalised gifts to your clients or staff will convey a mixed message. Your gifts don’t need to cost the earth, but quality is key! 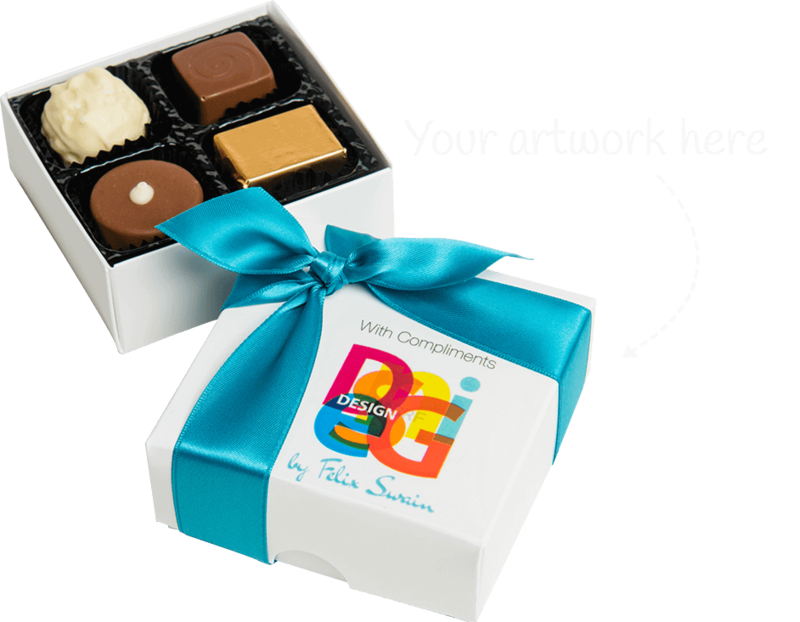 With many years’ experience creating personalised chocolates, we know what makes businesses tick. So we can help you select the perfect branded gift, every time. Different personalised gifts suit different occasions. 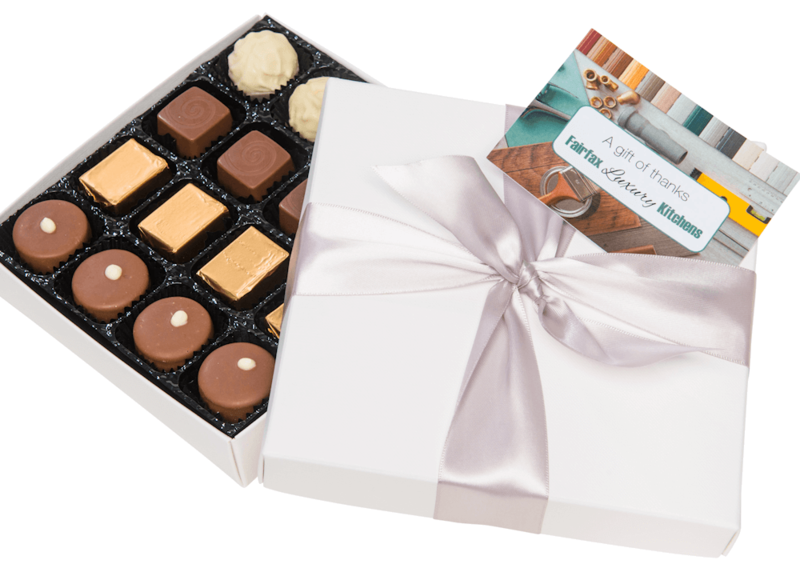 So if you’re planning a promotional giveaway you may need a box of one or two chocolates, but if you’re gifting VIP clients, you’ll want to splash out a bit more. With box sizes ranging from one to 100 chocolates, we’re sure to have a gift that meets your budget and need. We offer a wide range of branding options too, from personalised printed sleeves or gift cards, to boxes with your logo printed on the lid. If you’re unsure what type of gift to go for, take a look at our gallery for ideas, or give our Customer Service team a call. We have many years’ experience of helping our clients choose personalised gifts for any occasion, so we can offer useful advice without the hard sell. Don’t be talked into buying more gifts than you really need for your event or mailshot. Sure, you need to allow a few extra gifts for unexpected guests or anyone you’ve left off the mailing list, but there’s little point in buying 100 chocolate gifts if you really only need 50. Budgets are tight, which is why many of our clients choose to buy our personalised chocolates with no minimum order quantity requirement. We’ve got personalised gift options that are economical, even if you only need a quantity of 10. Although you can order just ONE personalised gift from us if you wish, bear in mind that artwork and delivery costs are fixed, so the final price of your single gift will be high. That’s why when you only need one or two gifts, we’ll probably offer you a choice of options from our retail range, and add a personalised message too. Get in touch and we’ll advise you on the best way to save money on your order. Have you noticed how every UK High Street seems to look the same these days? Same shops, same products, same predictable experience. You can even buy so-called luxury chocolates in a convenience store or pharmacy! We’ve created our own, exclusive chocolate selections, so you won’t find them anywhere else – and neither will your clients or employees. 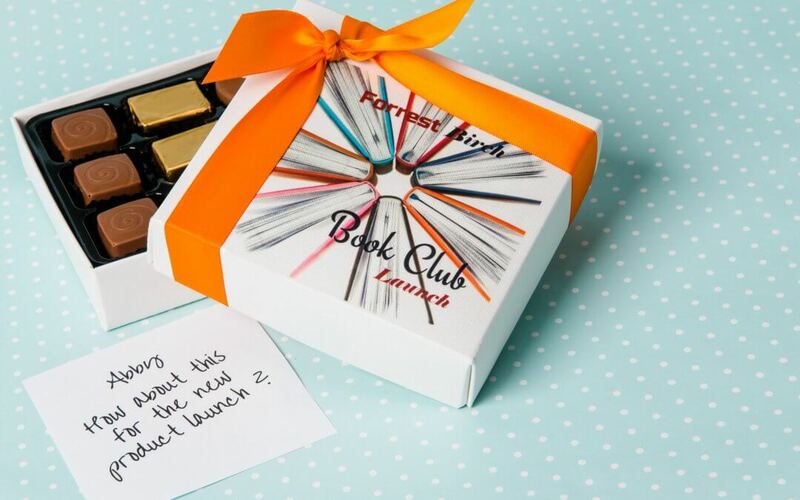 So when they receive a chocolate gift box featuring your brand and greeting, they’ll feel truly special, and thank you for it! Unless you buy corporate chocolate gifts frequently, (or live with them, as we do), you probably don’t know exactly what to expect when you order them for the first time. That’s why we’ll give you one key point of contact to manage your order from start to finish. No call centres or automated emails – just a real person who knows you by name. Interested to find out more about our personalised chocolates? Open the quote request form below or call our Sales Office on 0121 314 3472.